Every year, the Bell & Ross design team goes nuts with an incredible and (sadly) hypothetical vehicular creation. This year it was the Racing Bird, an awesomely streamlined take on a prop-powered racer, the sort of machine you’d see at the Reno Air Races. Of course, while the plane is conceptual, the watches are very, very real. Built off the base chassis of the vintage chronograph, the BRV2-94 Chronograph is at once modern and gloriously old-school. The case is near perfectly proportioned, 41mm across, though the crown guard and screw-down chrono pushers add a little breadth. It doesn’t sit too high on the wrist either, despite the sweet domed sapphire. 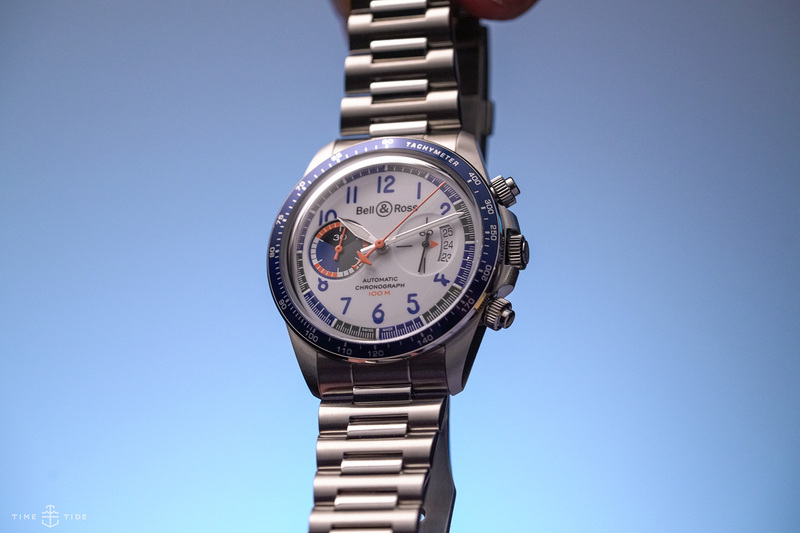 This sizing, combined with the classic style and solid bracelet, give the watch a timeless yet purposeful character. While the appeal of the watch’s design might be eternal, the details are very much of an era — the ’70s. 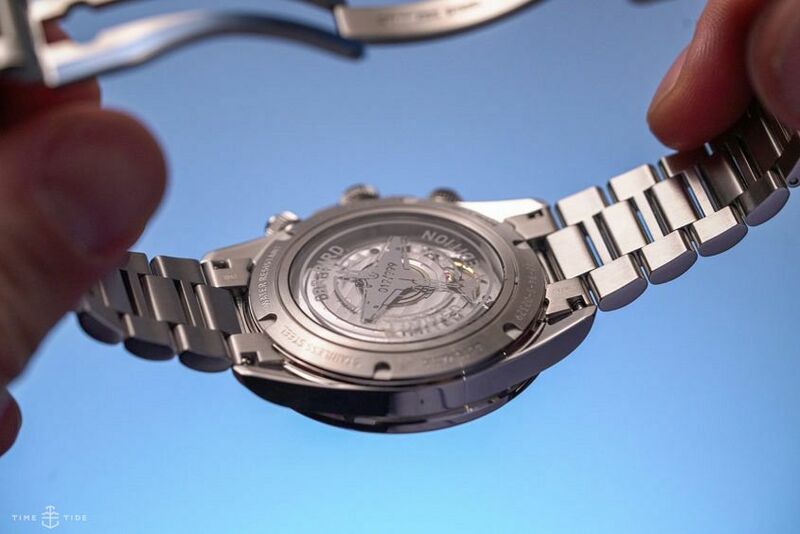 This time is recognised as a golden age of sports watches, with watchmaking innovations like the automatic chronograph, as well as the popularity of sports that required them. It’s also a time unafraid of bold colour. 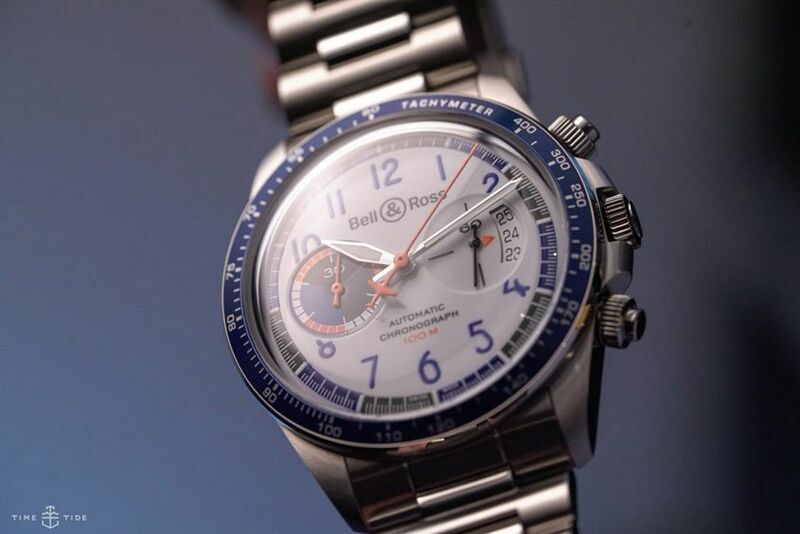 It’s the punchy personality that the Racing Bird plays with, taking a lustrous off-white base dial colour, adding vibrant indigo blue and orange to the equation. 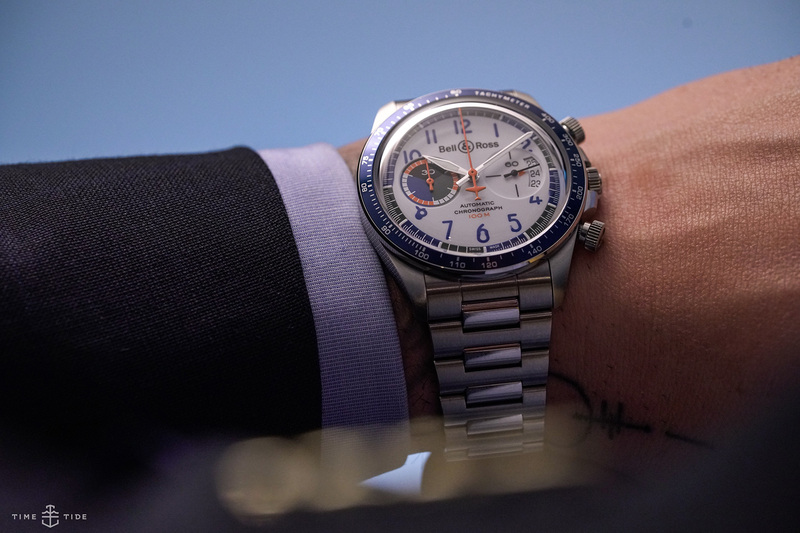 It’s a strong combo, but not overpowering as there’s enough detail on the dial, in the registers, plane-tipped chronograph hands and even the altimeter style date display to keep things interesting. To my mind, this combination of colour and classic is great — especially if you’re after a watch with personality.